I have been very lucky to be a Visiting Scholar to the Armstrong Browning Library for the third time. During my first visit in 2007, just after completing my PhD on Elizabeth Barrett Browning’s poetical works, my project was to study the poet’s literary and cultural connexions with other female poets of her time. 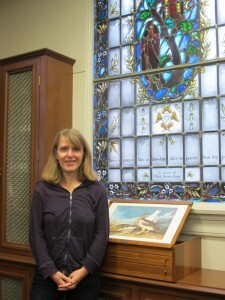 I had the good fortune to share my interest for female poets with Cynthia Burgess, Curator of Books and Printed Materials, who helped me discover and explore what has become my main field of research since then: Victorian women’s poetry, and in particular poems by non-professional and working-class women. In 2007, ABL had already collected more than 200 books of poetry written by women in English and published from 1800 to 1900. 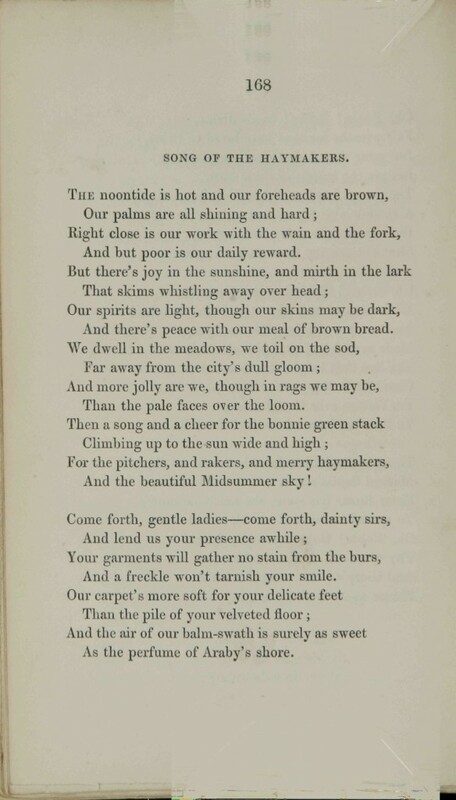 Being immediately bitten by the poetry bug, I developed an insatiable curiosity for poems by Victorian women. While reading most of the poetry books from this collection and growing familiar with all sorts of poets from very different social and geographical backgrounds, I became aware that a noticeable number of them were addressing gender-related issues on a recurring basis, either to support the preservation of heteronormative gender roles or to debunk patriarchal hegemony. Most of the time the poems presented an ambivalent position between renunciation and denunciation. Indeed it remains a conundrum for today’s readers to decipher the real message of Adelaide Procter (1825-1864) in her poetical trilogy “A Woman’s Question” (1858), “A Woman’s Answer” (1861) and “A Woman’s Last Word” (1861). Are these poems invitations for women to fly with their own wings or to reintegrate into the domestic sphere after a magical interlude? Similarly, is “Japanese Fan” (1888) by Margaret Veley (1843-1887) preserving female sociability or hiding women’s real secrets? Encountering dozens of comparable cases, I realized that I could show how women devised regular poetical strategies while they renegotiated woman’s position and the social codes of gentility and gender. This widened perspective on women poets led me to complete my first study (in French) of the cross-fertilisation of genre and gender in Victorian women’s poetry, Le genre en jeu: Poésie et identité féminines en Angleterre 1830-1900 (Paris: L’Harmattan 2010). Of late has taken her stay. Would do any cynic good. Or give me half such pleasure. Yet, full of careless rapture. If she be young and pretty? With fire had made and wrought them. And gaze of wayward passion? Be crowned with simple daisies. And what about Mrs Louisa Campbell (dates unknown) who is guiding her young readers into deciphering the mysteries of nature, therefore improving both their knowledge of the natural world and their capacity to do good? In all that live or die. Or died of cold and fear. To know, love stories well. If only they are sought. And we will ask things what they say. Or trample down the fair sea-flower. A little stuff’d dog in a cracked glass case. But the bell’s real silver, and tinkles yet. Why, he’s just like Shakespeare in Hamilton Place! “And observe the fire that he’s got in his eyes! He’s an animal fit to belong to a lord! And so would yours in a place like this! My second visit to the ABL helped me deepen my knowledge in nature poetry, as I read hundreds of animal poems, flower poems, science poems, garden poems… With this almost limitless reserve of poems in my pocket, I completed my second book, this time in English, under the title Women Poets in the Victorian Era: Cultural Practices and Nature Poetry (Ashgate, due November 2015). And how is Don Carlo, that wonderful swell? And fear that at home he is ill with the spleen. Is over-indulgence not making him vicious? Although ’tis a truth he’s your foundling and minion. It is thus you would manage a beautiful wife. As erst, unshackled, wild and free. And only pulled the noose still tighter. Pig only grunted, kicked and sputtered. She sickened, faded, pass’d away. The two poets’ feminist views are exposed in a very efficient way as animal poetry gives strength to their denunciation of domestic oppression and violence. Digital humanities have considerably contributed to facilitate access to precious information previously reserved for a chosen few. Since my first visit in 2007, most women’s poetry books have been indexed and fully digitized, offering access to 467 works so far. Access from afar to these wonderful pieces of poetry is extremely valuable: now poems about dogs, peacocks, birds of passage or dormice are served on a silver platter to distant scholars. This being said, there is nothing like holding an old poetry book, gently turning its pages, feeling the quality of the paper and even indulging in the smell of rare books. And, far more important, is the kindness of the ABL staff, always making sure you conduct your research in the best possible way and consistently making themselves available to help you find the perfect gem. They [people who do not like poetry] are totally ignorant that Poetry is identified and incorporated in the primitive elements of all that makes God visible, and man glorious…. These people have no ear for music in a “babbling brook,” without the said brook turns a very profitable mill. They find no “sermons in stone,” beyond those preached by the walls of a Royal Exchange. They see nothing in a mob of ragged urchins loitering about the streets in a spring twilight, busy over a handful of buttercups and daisies, lugged with anxious care from Putney or Clapham—they see nothing but a tribe of tiresome children who deserve, and sometimes get, a box on the the ears for “being in the way.” They see nothing in the attachment between a poor man and his cur dog, but a crime worthy the imprisonment of one, and the hanging of the other. In “People Who Do Not Like Poetry,” Eliza Cook not only deprecates those who do not appreciate poetry written on pages or lived out in the world around them, but she also admires the poor who, lacking a knowledge of the technical details of poetic verses, nevertheless, find the spirit of poetry all around them. She was the youngest of eleven children. Although primarily self-educated, Eliza was heavily encouraged by her mother to pursue her gifts and began to compose poetry as a young child, publishing her first volume, Lays of a Wild Harp, when she was only seventeen. The volume was well-received, and she began submitting poetry to magazines. For almost a decade she published Eliza Cook’s Journal, a weekly periodical. Despite Cook’s popular appeal, her poetry was not admired by some of her literary contemporaries. 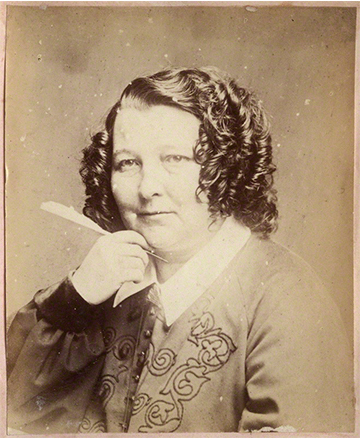 Elizabeth Barrett Browning, in a letter to Mary Russell Mitford in 1845, stated that “Her [Cook’s] poetry, so called, I cannot admire—though, of course, she has a talent of putting verse together, of a respectable kind.” Likewise, Christina Rossetti told her brother he could call her “Eliza Cook” if he thought her verses mediocre. 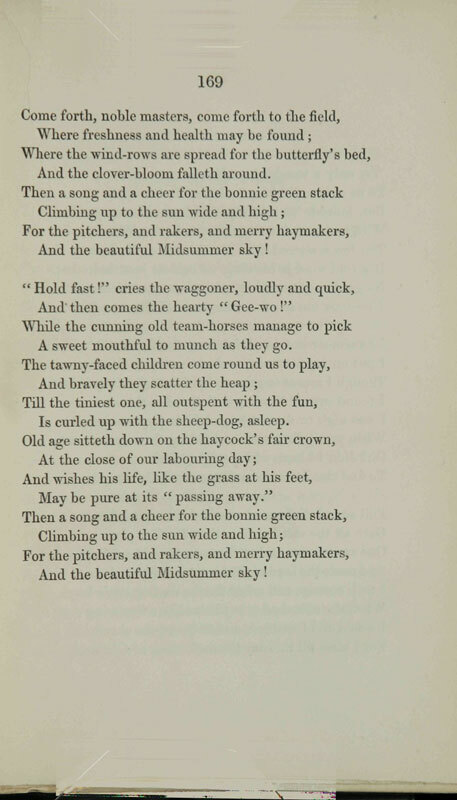 The ABL owns five volumes of Eliza Cook’s poetry, several of which can be viewed at the Armstrong Browning Library – 19th Century Women Poets Collection page of the Baylor University Libraries Digital Collections site. In addition, the ABL owns a letter from Eliza Cook to William Johnson Fox, which discusses her successful effort to raise money to furnish the grave of Thomas Hood, a popular Brisitsh humorist and poet, with a marker.